Goodly: Is Your Copy Ducky? 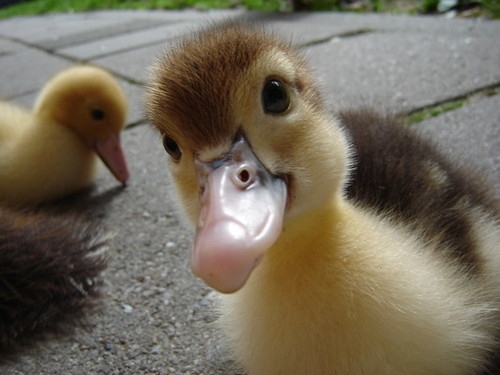 There once was an ugly duckling. And if you read to the end, you'll learn how he dealt with his handicap. But first, let me ask: Do you know how to guarantee readers won't abandon your copy? Start with a story. It creates an emotional bond with readers. Seed your copy with hooks. Sugarman calls them seeds of curiosity. Sugarman also urges you to start your story with a short sentence. Poor guy. Would you like to be called ugly? Once you've started your story, to urge readers on, you must continue to play to their curiosity. Hooks work because the human mind doesn't like unfinished business. That's why TV series like Stranger Things exploit cliffhangers. They prompt viewers to binge. You want readers to binge on your copy. Otherwise, they'll never buy a thing. And things could get ugly for you. But, you say, B2B doesn't work like that! B2B is boring. Tell it to Farmers Insurance. I'm a small business owner, and I visit my clients' offices often. I pretty much live on the road. Here's my challenge. You'd laugh, if I told you the email promotes a Certificate of Insurance.